Ever feel overwhelmed by everything on your plate? It happens to the best of us. 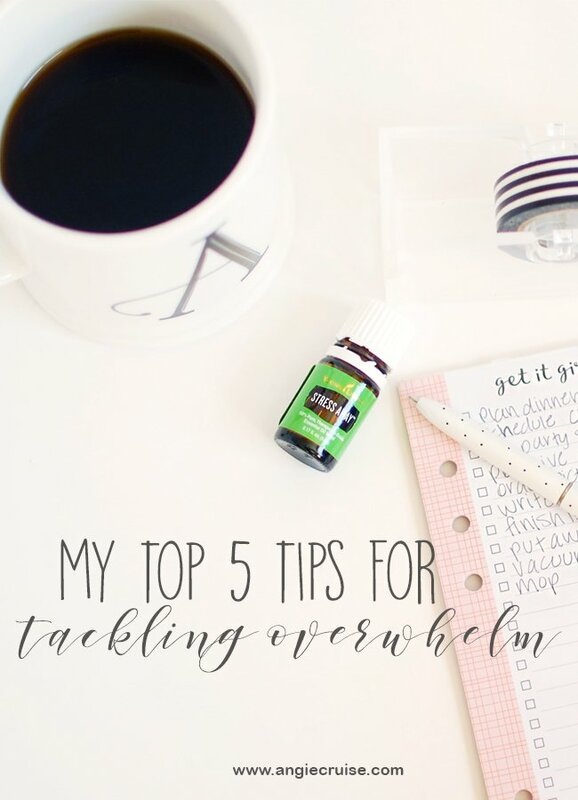 Today, I want to share my top 5 tips to fight overwhelm and getting on with your day. I often find myself with a serious case of overwhelm, to the point where I freeze and can’t think of the next step I should take. If you’re anything like me, you’re probably nodding your head and thinking about your recent sleepless nights. You know, the ones where you couldn’t shut your brain off because you had so much to remember?? This happens to me more often than I care to admit. 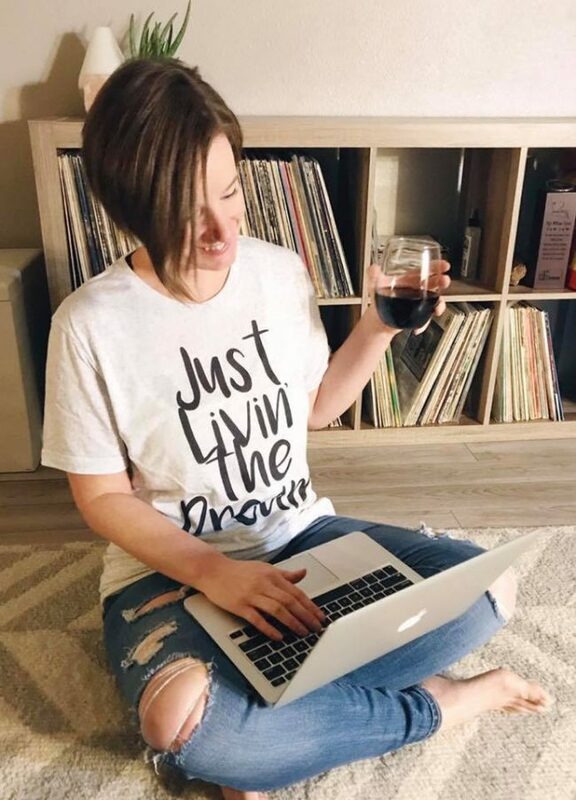 Even lately, I’ve had so much going on with the blog, so many fantastic ideas running through my mind, that I couldn’t focus. I kept finding myself frozen, and instead of just picking a place to start, I’d find myself binge-watching re-runs of The Office so I could avoid it all together. I was paralyzed over how much there was to do, so I just didn’t do any of it. Obviously, that’s not the best way to get things done, so it’s important to be able to “snap out of it” as quickly as possible. 1. Keep a to do list. While it might seem counter-productive to sit down and write out a to-do list when you have too much going on, it’s actually a really great way to focus your mind. In fact, one of my favorite methods to fight overwhelm is to do a brain dump! You can read more about this strategy right here, but essentially, you sit down and write everything that pops into your head without thinking about it. By writing everything down, you are essentially telling your brain it doesn’t have to worry about forgetting a task. This frees up some space to actually organize your list and figure out the best way to work through each task. Makes sense, right? 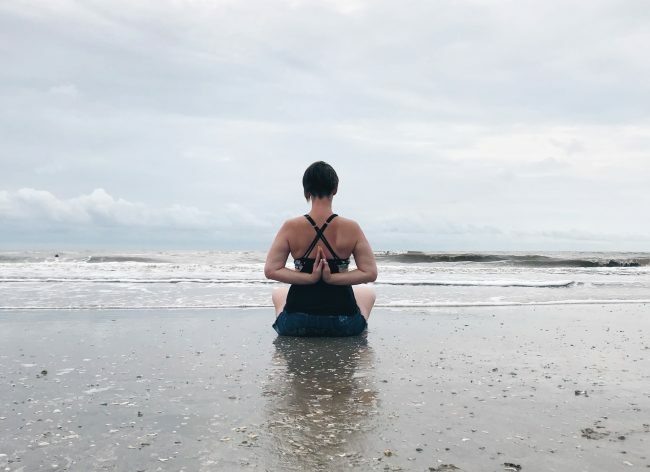 I’m a big believer in a daily yoga practice, but even if you’re not, a few minutes of meditation can do anyone some good. If you’re new to meditation, the best advice I can give you is to pick something to focus on. Don’t stress about emptying your mind, because you’ll just end up frustrated. Instead, pick a word or phrase that can calm you down, and repeat it on your breath. These will really help ground you back into the present and help you clear your mind. Give it a try for 2-3 minutes to start, and see how it makes you feel. Trying to plan an event or project in your life? I know I tend to get tunnel vision when I’m dealing with something big, and dive in before really thinking. Then I end up with an unorganized process where I’m bound to leave something out. Instead of diving in head first without a plan, try to sit down and write everything out. Write out every single detail. For example, instead of writing down that you need to clean your house, get specific. First, you need to pick up all of the toys and put them away. Then, you need to wipe down all the surfaces. Then, you can sweep and mop. Break it down into little chunks that are easier to manage to help fight overwhelm. Not only does it make the task seem easier to do, but it also keeps you from having to pause to think about the next step. It’s already written out for you. You can actually read more about that method in this post. I break down how I write my to-do lists to keep me from overthinking each step. One of my favorite ways to use essential oils is actually to combat my emotions. In fact, that’s one of the biggest ways I became a believer in aromatherapy! I was really overwhelmed and had a lot on my plate for several months, and I’d kept hearing about how essential oils were helping others. Not really believing it would work, I decided to diffuse some Valor (a blend from Young Living), and put it on my diffuser necklace. Ya’ll, it was like magic. I felt myself calm down. Suddenly, I was able to think clearly and focus on what I needed to do. After that, I always made sure to have some Valor on hand for when I need to fight overwhelm and calm myself down. That was three years ago, and it’s still one of my favorite oils to help keep me calm! Need more information on how to use essential oils for yourself? Check out this post to learn more about them! 5. Tackle small tasks first. I don’t know about you, but a lot of times I find myself pushing off the tasks that seem small, because they don’t really seem worth my time. When I have too much to do, the last thing I want to worry about is mailing off that letter, or responding to that text from a friend. But, I’ve noticed that when I don’t do those things, they start to hang over my head. They get heavy. I start to stress out because there is just so much to do. Trust me. Just do those tasks. Get them out of the way! 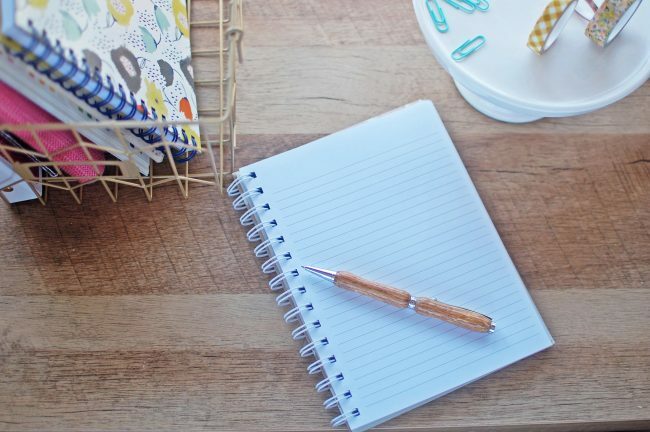 Not only will marking it off your to-do list fight overwhelm and motivate you to start your next task, but it’ll be a huge relief to finally have it done. Sometimes, those things that seem the least important are the ones that put the most weight on our shoulders. .What are your favorite ways to fight overwhelm? Do you have any tips I didn’t mention? I’d love to hear about them! Be sure to leave a comment below, and then check out these posts that can also help you stay on task and get on with your day!